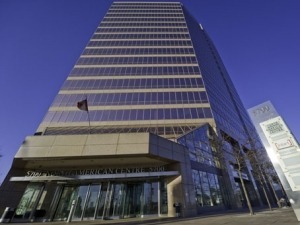 North York Apostille Authentication Legalization Service – Now Open for Business! 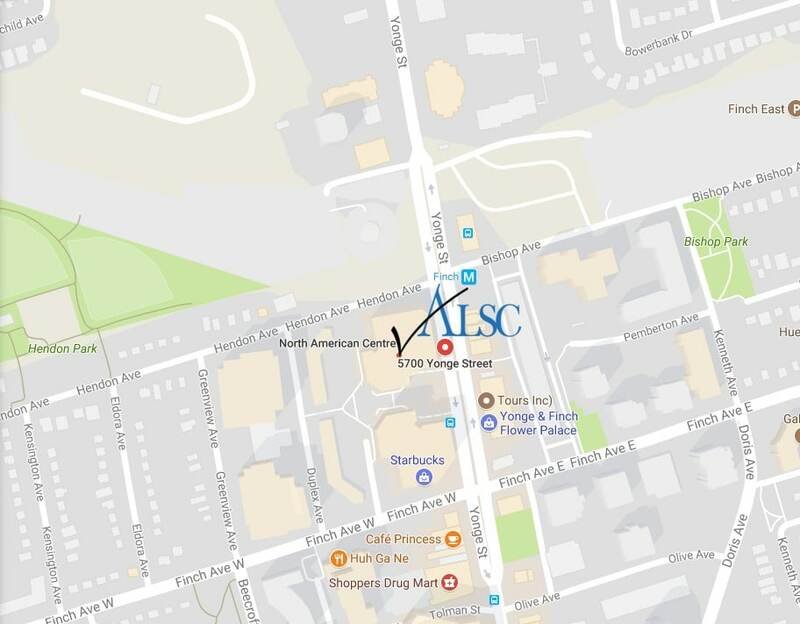 You Are Here:Home/ALSC Service Centers/North York Apostille Authentication Legalization Service – Now Open for Business! ALSC North York Authentication Legalization Service Center, Now Open for Business! Thousands of documents are processed in Canada every year for use in foreign countries. Whether it’s a Canadian birth certificate, marriage certificate, degree, police check or corporate document our newly opened ALSC North York service center is ready to assist you with your international documents. The process of document Authentication and Legalization is not always easy and as the pioneers of this industry, we at ALSC are always looking for ways to make the process simpler for our clients. A large part of this involves being receptive to customer needs and feedback. It is no surprise that Toronto, the largest city in Canada, is one of the busiest cities in terms of documents. In our continuing efforts to provide the highest quality service in our industry to high volume cities across Canada, we are pleased to announce the opening of our third service center in the Greater Toronto Area, located in North York. Authentication at Global Affairs Canada and legalization at the embassy consulate can take an incredibly long time without our service. One of the many ALSC advantages is the speed with which we can process your documents on your behalf at Global Affairs and at foreign embassies, especially with our priority service that will save you 20 business days. However, before we can authenticate and legalize your documents we must first receive them. As such, the number one question from our clients is almost always concerning shipping. Post offices can be a hassle and there are often long wait times to be expected. This can make sending and receiving documents very frustrating for some of our clients especially if they are already in a rush to meet a deadline. Therefore, it is often the most stressful part of the process for our clients and now our new North York service center will save you that trouble. All documents processed through our ALSC service centers receive priority courier service. This ensures that your documents are delivered as quickly and securely as possible to our Ottawa head office and when they get returned to you. Using our service centers prevents any delays and unforeseen circumstances that can take place at post offices, both for us and for you! If your documents need to be shipped elsewhere, not to worry! We can ship your document anywhere in the world via one of our shipping partners. It’s also important to keep in mind that if you have been asked to get an Apostille for a Canadian document it will need to be authenticated and legalized. An Apostille is another process for validating documents for use internationally. It’s used by countries that have signed The Hague Convention. As Canada has not signed the agreement it still follows the original process of authentication and legalization. Both the process of Apostille and Authentication Legalization are accepted as the equivalent in the respective countries. Save yourself a stressful and time consuming trip to the post office and use the professionals ALSC for fast and easy authentication legalization through our trusted service centers across Canada. Once you have confirmed your service options we can then set up an appointment for you to drop off your documents and ALSC order forms at the Authentication Legalization Services Canada – North York Service Center Suite 200- 5700 Yonge Street, North York, ON M2M 4K2 They will be waiting for you at the North York Service Center to ship the documents overnight to our national headquarters in Ottawa, where the documents will be processed. Now we do our part keeping you updated at every step via email. Upon completion of the process we let you know when you can pick up your completed documents at our North York Service Center, it’s that simple. Best of all it’s guaranteed! 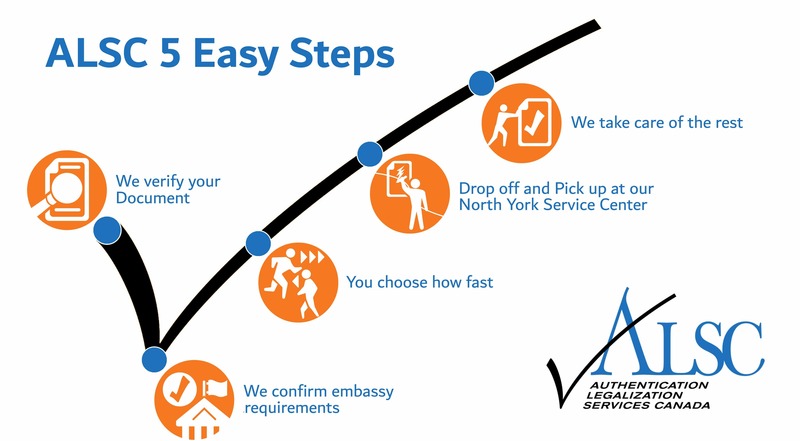 Click below to get started with the North York Apostille, Authentication and Legalization service experts. By ALSC|2018-06-11T15:44:07+00:00September 11th, 2017|ALSC Service Centers|Comments Off on North York Apostille Authentication Legalization Service – Now Open for Business!